Town Square, located inside the downtown historic district, is surrounded by some of the city's most prominent historic buildings. 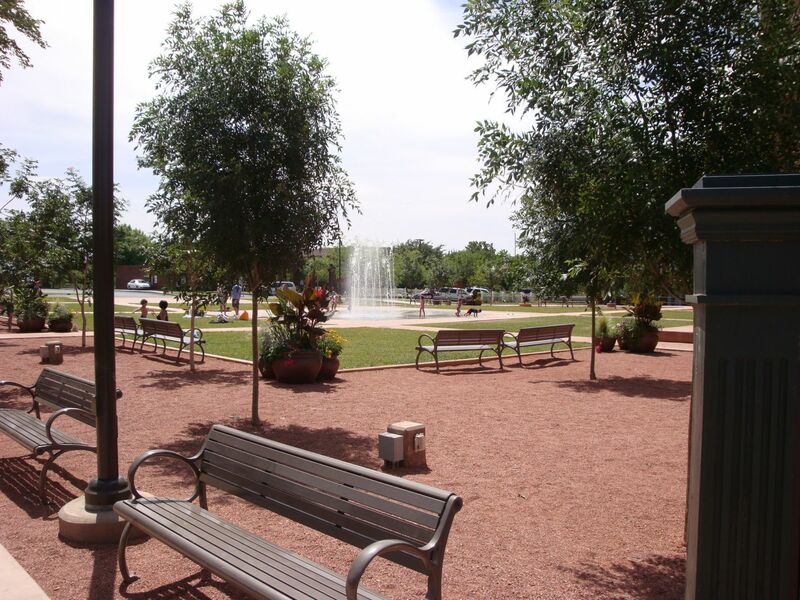 The park features several dramatic water features; a splash pad fountain with jets that spray high into the air, a lazy river to cool your feet, and a splashing waterfall. Shade pavilions with tables and chairs provide a relaxing place to watch children playing in the water. With its grassy parade grounds, restroom facility, and monument tower, Town Square plays host to a variety of public events; First Night, Art Festival, Summer Movies on the Square and more. Town Square is a WiFi hotspot.You will also find our spectacular Carousel here too. Carousel, Covered Pavillion, Disc (frisbee) Golf, Drinking Fountains, Electric Outlets, Parking, Picnic Tables, Restroom, Splash Pad, Walking Path, and WiFi Hotspot. Are slip-and-slides and/or ice blocking allowed? No, they damage the turf and are NOT ALLOWED. Does my reservation include use of the power/water? Yes, there are outlets in the pavilion. The outlets are good for warming food and the use of a stereo. The outlets cannot accommodate the use of a bounce house. A bounce house must have its own generator. There are drinking fountains, but the use of hoses and water from a spigot are not available for the public to use. How can I reserve this park? How do I prove that I’ve reserved the park? You will be given a Facility Reservation Permit to keep with you during your activity. The Reservation Card is to be put up at least one hour before your reservation to let people know that the area is reserved. What are the 4 hour reservation time blocks? 7:00 a.m.-11:00 a.m.; 12:00 p.m.-4:00 p.m.; and 5:00 p.m.- 9:00 p.m. Parks are open sunrise to 10:00 p.m., except in those areas posted with alternative hours or if extended hours were approved for a city approved event. What type of event is considered to be a “Special Event”? A special event is typically a one-time event such as a sports tournament, concert, walk or run in a park/trail. A park reservation AND a Special Event Permit are required to hold this type of event in a park or on a trail. 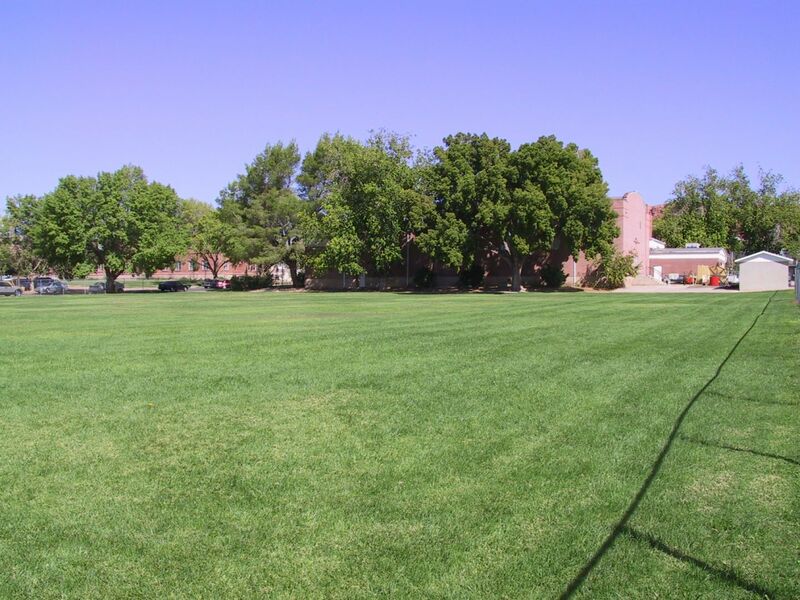 To have a special event you must first make the park or trail reservation and then contact Karen Roundy at (435) 627-4712 to obtain the Special Event Permit.